Lời tựa: Xin giới thiệu bài viết mới bằng 3 thứ tiếng Anh - Đức - Việt (English - Deutsch - Vietnamesisch), của tác giả Tản Viên. Theo như nội dung bài viết, dành để gửi đến các cá nhân, hội đoàn quốc tế sẽ đến tham dự cái gọi là "Đại Lễ Phật Đản LHQ" tại Việt Nam năm 2014, do chế độ ngụy quyền bù nhìn đảng Việt-gian cộng sản tổ chức. Một "Lễ hội" trá hình tôn giáo như bao lễ hội khác của đảng Việt-gian cộng sản lần này sẽ được dự định tổ chức đặc biệt tốn kém và khoa trương, vào mùa Phật Đản 2014, tại chùa "Bái Đính", Ninh Bình Việt Nam. Không nằm ngoài mục đích ru ngủ đồng bào Việt Nam và đánh lừa thế giới. By accepting the invitation from the so-called “Vietnamese National Committee of Vesakh Festival” for the planned Vesakh festival this year, 2014, in Vietnam, you will support the mesh of lies of the Vietnamese KP, the big traitor of the nation, ruler and oppressor of the Vietnamese people. By participating in this event you will support the Vietnamese communist regime in tightening the noose around the neck of all Vietnamese people equally whether they are religious or not. By accepting the invitation for and participating in this event you will take part, consciously or unconsciously, everybody for oneself, in creating an extremely heavy negative collective karma against the Vietnamese people, who is literally muzzled under the totalitarian regime of the KP with his false puppet regime. This gang of the nation´s traitors has been disguising themselves behind the face of the “Vietnamese Communist Party” since 1945, when they seized power under their gang leader Ho Chi Minh. Since then in North Vietnam and in the entire Vietnam since 1975, until today, 2014, people have been suffering from extreme perfidious system of this inhuman gang. In recent Vietnamese history there was only one true sovereign state existing – the Republic of Vietnam in South Vietnam, between the years of 1955 and 1963, under President Ngo Dinh Diem. Its constitution and President were the only ones being legitimated by the people and part of an international accepted sovereign Vietnamese state. It destroyed by a putsch planned conspiratorially by Zionist high finance power FED of ISRAEL-USA and the CIA with their Trojan perfidious UBCV. The “UBCV” is the “Unified Buddhist Church of Vietnam”, the “BCV” is the “Buddhist Church of Vietnam” from whom you received the “invitation to the United Nations Day of Vesahk (UNDV) 2014”. These two organizations are badly disguised and poisonous bait-traps with a “religious” facade. They are the most important perfidious power instruments of the Communist Party used against people. 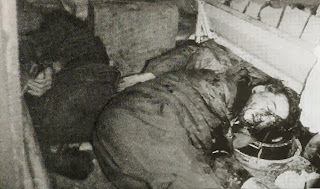 A summary of these two masks of the Vietnamese CP and their crimes can be found in innumerable articles in the internet. A detailed example is the following article: “Thich Nhat Hanh - A KPAgent in Monk’s robes – the trails of blood of the "Unified BuddhistChurch of Vietnam" or how the Vietnamese Communist Party exploits thepower of Buddhism as an instrument of power”. There must be people who suffer from “Morbus Ignorantia”, who cheat or let cheat themselves so that they can ignore one fact: Without exception, all countries ruled by communist regimes, like once the UdSSR(*) or the present China with its puppet regimes like Burma, North Korea, Vietnam, Laos, Cambodia, and so on… oppress the basic rights of people and trickily rob them … and the fact that, what is displayed is only propaganda made up by the rulers. Furthermore these people must be blinded so much that they still support a communist regime and ignore the fact that in 2006 the European Parliament PACE enacted resolution no. 1481. In this resolution the criminals of Communism and their crimes were strongly condemned internationally… “The Black Book of Communism” is an important document and known worldwide. In this book the crimes of the Marxist Communism with the leading criminals Stalin, Lenin, Mao, Kim, Pol Pot, to Ho Chi Minh are listed… All the surviving victims of the Communism know this, but in communist Vietnam the people don’t have the right to talk about it. Did you know as one of many invited guests of this communist regime, that this “Vesakh Committee” is an institution of the BCV, a nationalized “religious” instrument of the Communist Party? Among other things this BCV is responsible for erecting the buildings of the “Ho Chi Minh Pagoda” and the “Bai Dinh Pagoda”. Those two oversized immovable properties of the KP were titled as “Buddhist Pagodas” and were sold. 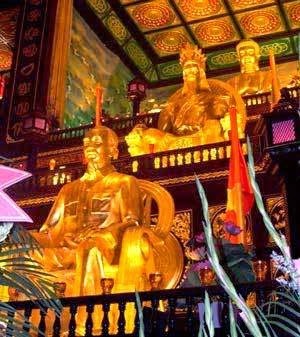 In one of them a Ho Chi Minh statue thrones in front of the world´s worshipped Buddha Sakyamuni. As all other “Buddhist Delegations” you will be shown up too by the “Vesakh Committee” to first worship Ho Chi Minh, and afterwards worship also Buddha Sakyamuni. Ho is CP Chairman everywhere, also in the "Ho Pagoda" in Binh Duong, Vietnam. Coated with high karat gold, his statue sits in front of the Buddha statue. Next to it the CP flag is hoisted up. The fact, that Ho Chi Minh, the biggest criminal and traitor of Vietnamese people of all times, is positioned in front of Buddha Sakyamuni and deified by the KP is an act of force of the KP against the Vietnamese people, religious or not, and against humanity. Is anyone against it? If so, the gun and the prison of the KP are waiting for him. You should know precisely: If you take part in this “Vesakh-festival” with a Buddhist robe, even if you won´t speak a word, you will still have a hand in keeping alive the KP´´s propagandistic lie saying that “Freedom of Religion” does exist in today’s Vietnam. This so-called “Freedom of Religion” is just displayed and existing only and exclusively only for you and for those who support the lies of the KP. So these people definitely don’t assemble for worshipping Buddha Sakyamuni. But these people disfigure strongly the truthfully worshipping of all people to Buddha, especially the one of all inland Vietnamese people, who do not have the right to speak only one word about whether they have a religious denomination or not. Any basic right is has been refused to the Vietnamese people since 1945, when the traitor of the people Ho Chi Minh seized power. Neither freedom of religion, nor freedom of press, nor freedom of speech does exist… They don’t have the right to possess anything. All the worthless articles and double-tongued laws of Ho’s regime until the present day are only useful for the propagandistic lies of the KP to dissemble something to the whole world. This traitor of the people and the nation Ho Chi Minh and his KP had just replicated the original pattern of Stalin’s and Mao-Tse-Tung’s extermination model in North Vietnam from 1945 to 1975 and in complete Vietnam from 1975 down to the last detail. With the criminal force of the so-called Marxist ideology, originated from the Zionist high finance from Europe and masked in a communist robe, Ho Chi Minh and his KP had infiltrated and forcibly eliminated all Vietnamese nationalistic Parties. Ho and his Communist Party had stolen any basic rights from the Vietnamese people. With a quadripartite totalitarian people-oppression plan (a copy of the so-called “Four Modernizations” from china) the KP had stolen and dispossessed the people through lies and brutal force. The people were driven into the abyss of poverty and impecuniosity. This is the violent elimination and dispossession of all property owners of the country. This is the violent elimination and dispossession of all real estate and land owners. This is the violent elimination and removal of all upper layers of the country who are capable to give law. Did you know that Ho Chi Minh is ranked thirteenth on the list of the biggest criminal murderers worldwide? After Mao Tse Dong, who alone has killed 72 million human lives. After the KP had taken totalitarian control of North Vietnam by propagandistic brainwashing and force, they prepared for an invasion war against the Republic of Vietnam in the South. This cruel war took place until 30.04.1975 in South Vietnam. After that Cambodia and Laos were up next just disguised with another mask. Indeed the war of the KP against the Vietnamese people has not ended yet. The blood trails of the crimes have remained still fresh until this day and the stench cannot be removed. We cannot list all the crimes and the complete brutality of the KP at once, even many more following generations of the Vietnamese people won´t be able to do so. Even “Vietnam’s bamboo is not numerous enough to list all of the KP´s crimes”. As well as there is not enough water in the Vietnamese Eastern Sea in order to wipe off the bloody stench of the KP crimes, but the water itself would be contaminated”. Ho Chi Minh and the Vietnamese KP are just perfidious instruments of the red Zionistic imperialistic high finance forces. At this point we only tell you some facts, which hopefully will concern you and accordingly which will invite you to reflect. At first we limit ourselves to the contemporary Buddhism in Vietnam, which is tricky undercut and exploited as an instrument of power by the KP: Since 1945 in North Vietnam and since 1975 in entire Vietnam no Freedom of Religion has been existing down to the present day. Because ever since 1945 all Buddhist temples and pagodas of all kind are under strict control by the Communist Party. All of the religious organizations have been robbed by the KP through the lie of “nationalization”. All Buddhist religious activities are forbidden and penalized because religion is classified as “the opium of the people”. The KP had forced all authentic monks and nuns or religious leaders of the old generation in North Vietnam to give up their religious lives and chased them home. If they are still there, they are muzzled; otherwise prison, torture or death will be the consequences. Most of the pagodas and temples are undercut by communist cadres in monk’s robes to control all religious organizations and the people of Vietnam in a perfidious way. Also all “monkish hosts” at this Vesakh festival, who will welcome you solemnly, are nothing else then high-ranked communist cadres in monk’s robes. 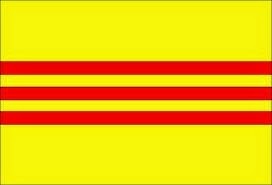 All Vietnamese people are aware of it. But if they talk about it, the KP will impose cruel punishments. The younger “monk and nun” – generation are not monks and nuns, but they are communist cadres in monk’s robes, the best trained ones of all religious-policemen of the communist regime. They have to study Marxist doctrines in order to control and thereby rob the people easier. Please do not be surprised about the enormous number of “pagodas” and “temples” in the communist Vietnam like for example “Bai Dinh” and the “Ho Pagoda”. Because the bigger they are, the more profit the regarded KP official wins back out of his own “investment project”. You “solemnize” on a KP ground which was robbed from the people. Don’t forget that more than 3 million Vietnamese asylum-seekers live in exile because of the prosecution of the Vietnamese KP. Don’t forget that the perfidious Vietnamese KP had undercut and robbed the country to transform it into an unofficial Chinese province. They administrate the slavery of this country for the Chinese Party to cover up the red imperialistic power in Asia. Please keep in mind: One of the most popular religious characters nowadays is His Holiness the 14th Dalai Lama. But also he and his abroad living Tibetan people are still living in exile because his Tibetan homeland is still hold under forcible occupation by the Chinese communist regime. What would you think if the Chinese KP which has stolen the country from him and insults him as “wolf in a sheep’s disguise”, will now arrange a “Vesakh festival” in Lhasa and invite him? If you are able to, please try to put yourself in his place. Then you will know that he would never travel there under these circumstances. But if you are not able to put yourself in the place of one single compassionate character as the Dalai Lama, then it is not too late to do so. The whole world knows, although without hearing about this letter, that this so-called “Vesakh festival 2014” in Vietnam is a communist show made up by the KP in Buddhist robes. And the whole world knows who all the invited guests are, of course, because there is nobody preventing this people from dressing up with Buddhist robes. Or from revealing themselves as Buddhists on the one hand, but on the other hand supporting directly or indirectly, because of ignorance, the crimes of the communist regime simultaneously. These are the seeds, these are the fruits, this is the karma. Hereby we invite you cordially to visit a freed, free Vietnam someday, when the country and its people will be definitely freed from the communist phantom. Therefore, in the name of the Vietnamese Buddhists in Vietnam and the Buddhist refugees abroad, the victims of the Vietnamese communist party, we appeal to you to boycott this “Vesakh festival”. We thank you very much for your attention! (*) Even after the staged “Breakup” of the USSR by the KGB the communism the disguised instrument of the Zionistic intentions of the Jewish high finance in no way is disestablished. But it is rather dressed in a new robe of the “EUdSSR” and widespread now in entire Europe. Please spread this message as much as possible! Thank you. Nhân dịp 50 Năm (02.11.1963 - 02.11.2013) Ngày Đại Lễ Giỗ và Tưởng niệm cố Tổng Thống Việt Nam Cộng Hòa Ngô Đình Diệm cùng bào đệ là Cố Vấn Ngô Đình Nhu đã Vị Quốc vong thân. Blog "Nhà báo Việt Thường" xin giới thiệu nguyên văn bài viết của thiếu tá Nguyễn Phúc Liên Thành, cựu Chỉ huy trưởng Cảnh sát Quốc gia VNCH tỉnh Thừa Thiên - Huế, về những diễn tiến hậu trường quan trọng có liên quan tới tấn thảm kịch lịch sử này. Bài viết được trích từ cuốn sách đồng tác giả với tựa đề "Thích Trí Quang, Thần tượng hay tên Tội Đồ Dân Tộc", sắp phát hành). Theo nguồn "Vietnam - Buddhist", "Nhà báo Việt Thường.com" và "Ủy ban truy tố tội ác đảng cộng sản VN "
- Các tướng lãnh Việt Nam đã họp, và rồi biểu quyết xử sự với ông Diệm và Ông Nhu. Và diễn tiến thảm kịch đã xảy ra như sau: Đoàn xe do tướng Mai Hữu Xuân trong đó có một chi đội thiết vận xa đến Nhà Thờ Cha Tam. Đại Tá Dương Ngọc Lắm Tổng Giám Đốc Bảo An và Dân Vệ vào nhà thờ đón Tổng Thống và ông Cố Vấn. Hai ông được mời lên xe thiết vận xa, ông Cố Vấn Ngô Đình Nhu bất bình và hỏi: - "Cách thức các Tướng đi đón Tổng Thống là như thế nầy sao? Tổng Thống là Tổng Thống của nhân dân chứ đâu phải là tù binh. Tại sao các anh đưa xe bọc sắt đón Tổng Thống như thế nầy?" Tổng Thống nói với Đại Tá Dương Ngọc Lắm: - "Ông đưa tôi và Cố Vấn Nhu về dinh Gia Long rồi đến Tổng Tham Mưu". Ông Lắm trình lại với tướng Mai Hữu Xuân, Tướng Xuân từ chối. - "Thiếu Tướng nên biết cho đến giờ phút nầy Tổng Thống vẫn còn là Tổng Thống, không có lý do gì lại đi đón Tổng Thống bằng xe bọc sắt như thế nầy". - "Không được vô lễ với Tổng Thống!" - "Thôi chú, mình đi". Sau khi đẩy hai ông lên xe, tên Nhung bẻ quặt hai tay của Tổng Thống về phía sau lưng và trói lại, Ông Cố Vấn Ngô Đình Nhu cũng bị bẻ tay ra sau và trói như vậy. Đoàn xe khởi hành về Bộ Tổng Tham Mưu gồm có: Dẫn đầu là xe Quân Cảnh, kế đến là xe của Đại Úy Phan Hòa Hiệp, đoàn xe tăng M113 trong đó có Tổng Thống và ông Cố Vấn Ngô Đình Nhu, tên Nhung và Thiếu Tá Dương Hiếu Nghĩa ngồi trên mui của chiếc xe nầy, kế đến là xe của Thiếu Tướng Mai Hữu Xuân, xe của Đại Tá Nguyễn Văn Quang và Đại Tá Dương Ngọc Lắm. Khi đoàn xe đi ngang qua cổng xe lửa tại đường Hồng Thập Tự, chúng phải ngừng lại vì có xe lửa chạy qua. Đây là thời điểm mà bọn sát nhân ra tay. Tên Nhung và tên Dương Hiếu Nghĩa ngồi trên xe M113 nhìn về Tướng Mai Hữu Xuân thì thấy Mai Hữu Xuân đưa 2 ngón tay. Rồi thì Đại Úy Phan Hòa Hiệp nghe một tràn súng nổ, Đại Úy Hiệp biết ngay hai người ngồi trên xe M113 đã bắn Tổng Thống và ông Cố Vấn Ngô Đình Nhu rồi. Đoàn xe đi đón Tổng Thống và ông Cố Vấn Ngô Đình Nhu đã về đến Bộ Tổng Tham Mưu, nhưng Tổng Thống và Ông Cố Vấn đã chết, hai tay bị trói ra phía sau với nhiều vết đạn và vết dao đâm, còn tóc tai, mặt mũi, áo quần của hai vị thì đầy máu. Tại Bộ Tổng Tham Mưu, tên Thiếu Tá Dương Hiếu Nghĩa từ trên thiết vận xa M113 nhảy xuống tay cầm khẩu tiểu liên Thompson có buột băng vải trắng giơ cao lên trời. Còn Nhung thì tay cầm con dao găm hớn hở vung lên trời như khoe rằng vừa tạo được một chiến thắng lẫy lừng. Nhung bị giết để bịt đầu mối sau đó, còn Dương Hiếu Nghĩa không bị thanh trừng. Sau khi định cư tại Mỹ nhiều năm, y đã cạo đầu mặc áo cà sa với pháp danh là Không Như, ngụ tại một ngôi chùa thuộc thành phố Pomona, nam California. Nhưng chiến tích của Mai Hữu Xuân không được Dương Văn Minh chào đón như mong đợi, thay vào đó, Dương Văn Minh không nói một lời nào mà cứ liếc về một bên. Tướng Xuân đoán dường như có người nào đó trong phòng. Khi kịp thấy nhân vật thứ ba không ai khác chính là Trần Văn Đôn, Mai Hữu Xuân xoay lưng bước ra ngoài. Thời gian ngắn sau đó Tướng Khánh đảo chánh (chúng tôi sẽ trình bày ở phần sau). Tướng Khánh ra lệnh bắt giữ tên “Thiếu Tá” Nhung. Nhung lúc này là Thiếu Tá, lên một lon nhờ vào việc giết được người quan trọng nhất của quốc gia, Tổng Thống Ngô Đình Diệm! Lời khai của Nhung như sau: “Tôi được lệnh của Trung Tướng Dương Văn Minh đi theo đoàn thiết giáp đón hai ông Diệm Nhu, sau khi được tin hai ông gọi điện thoại xin đầu hàng và nói rõ họ đang ở tại Nhà Thờ Cha Tam trong Chợ Lớn. Chỉ huy vụ này là Thiếu Tướng Mai Hữu Xuân, với sự tham dự của nhiều sĩ quan khác như Thiếu Tá Dương Hiếu Nghĩa, Đại Tá Lắm, Đại Tá Quang v.v... Chúng tôi đến Nhà Thờ Cha Tam thì hai ông Diệm Nhu ngoan ngoãn lên xe M113. Sau khi đóng cửa xe, tôi và Thiếu Tá Dương Hiếu Nghĩa ngồi trên mui xe. Từ xa tôi thấy thủ lệnh của Thiếu Tướng Mai Hữu Xuân, ông ta đưa 2 ngón tay lên, tôi hiểu đó là lệnh thanh toán cả hai. Tôi rút súng Colt bắn ông Diệm 5 phát và ông Nhu 5 phát. Sau đó hăng máu tôi bắn thêm 3 phát nữa vào ngực ông Nhu. Tiếp đó Thiếu Tá Dương Hiếu Nghĩa dùng súng tiểu liên Thompson bắn thêm một băng vào người ông Diệm và ông Nhu”. Sau cuộc thẩm vấn đó thì tên Nhung đã “tự tử” chết bằng một sợi dây giày?! Chuyện hết sức phi lý sao lại có việc tự tử “đột xuất” của một “anh hùng”, một kẻ là “ân nhân” của các tướng lãnh phản loạn và nhóm tăng lữ Ấn Quang vì đã giết được "một tên độc tài gia đình trị đàn áp Phật Giáo" như thế? Nguyễn Văn Nhung, anh hùng của những kẻ phản loạn, phải được vinh danh và phải được trả công bội hậu “lên” như diều gặp gió mới phải chứ. Cớ sao tự nhiên phút chốc "anh hùng" lại ra người thiên cổ và bị lịch sử luận tội là tên phản loạn giết mướn? Tại sao sau một "cuộc cách mạng hiển hách” như vậy mà cho đến nay vẫn không một ai dám nhận mình là kẻ đã có công với quốc gia dân tộc vì đã trừ khử "một tên độc tài đàn áp Phật Giáo" như thế? Từ Dương Văn Minh, đến Trần Văn Đôn, Trần Thiện Khiêm, Tôn Thất Đính, đến toàn bộ nhóm tướng lãnh phản loạn, đến cả chính quyền Kennedy đều chối tội như thế? Câu trả lời đã quá rõ! Vì chúng sợ ô danh với lịch sử do đã nhúng tay vào máu của một con người hiền lành đức độ, yêu nước còn hơn chính bản thân mình! Có một số dư luận nói rằng Tướng Khánh giết Nhung để trả thù cho Cụ Diệm. Thực ra, đây hoàn toàn là hành động giết người bịt miệng, một nguyên tắc kinh điển trong bất cứ một âm mưu giết người nào. Nếu thực sự có ý định trả thù cho Cố Tổng Thống Ngô Đình Diệm, thì Tướng Khánh phải bảo vệ mạng sống cho tên Nhung bằng mọi giá để tìm ra thủ phạm gốc. Thủ thuật của Tướng Khánh có lừa được công luận hay không? Tướng Khánh đã không thực thi công lý và công bằng cho Tổng Thống Ngô Đình Diệm và ngay cả cho cả tên giết người Nguyễn Văn Nhung, vì y chỉ là kẻ thừa hành mệnh lệnh mà thôi. Tướng Khánh mặc dù không trực tiếp tham gia trong vụ giết Tổng Thống Ngô Đình Diệm, nhưng phải chăng ông đã theo chỉ thị của “ai đó”, bằng mọi giá phải đóng sổ vụ giết Tổng Thống bằng cách giết tên Nhung để bịt đầu mối. Không đòi công lý cho Tổng Thống, đã vậy sau đó, tướng Khánh còn về hùa với Thích Trí Quang xử tử người em út của Tổng Thống là ông Ngô Đình Cẩn! Đây là một vết tích ô nhục cho tất cả những ai đã nhúng tay vào máu của ông Ngô Đình Cẩn. Do đó, vai trò của Tướng Nguyễn Khánh cần được lịch sử đánh giá lại, phải chăng ông là một trái đệm để xóa tang chứng của một âm mưu giết sạch gia đình người lãnh đạo quốc gia VNCH? Công lý nào mà “Hội đồng tướng lãnh” đã dành cho vị nguyên thủ quốc gia và gia đình của ông? Trong cuốn băng dài 30 tiếng đồng hồ do thư viện Johnson Library ở Austin, Texas, công bố ngày 28.2.2003, Tổng Thống Johnson đã gọi các tướng miền Nam Việt Nam được Hoa Kỳ thuê làm đảo chánh lật đổ và giết Tổng Thống Ngô Đình Diệm là "một bọn ác ôn côn đồ đáng nguyền rủa" (a goddamn bunch of thugs). Họ là ai và đã làm gì mà bị Tổng Thống Johnson miệt thị như vậy. Các sĩ quan sau đây đã nằm trong nhóm đứng ra tổ chức đảo chánh: Trung Tướng Dương Văn Minh, Trung Tướng Trần Văn Đôn, Thiếu Tướng Trần Thiện Khiêm, Thiếu Tướng Mai Hữu Xuân, Thiếu Tướng Tôn Thất Đính, Thiếu Tướng Nguyễn Khánh, Thiếu Tướng Lê Văn Kim, Thiếu Tướng Trần Văn Minh, Thiếu Tướng Phạm Xuân Chiểu, Thiếu Tướng Lê Văn Nghiêm, Đại Tá Đỗ Mậu, Đại Tá Dương Ngọc Lắm, Đại Tá Nguyễn Văn Quan, Đại Tá Nguyễn Hữu Có, Đại Tá Trần Ngọc Huyến, Đại Tá Nguyễn Khương, và Đại Tá Đỗ Cao Trí. Trong một cuộc phỏng vấn, Tướng Khánh có nói rằng ông là người được CIA tiếp xúc trước tiên khi CIA muốn làm đảo chánh. Nhưng theo tài liệu, CIA đã cho hai điệp viên khác nhau đến gặp Tướng Khiêm và Tướng Khánh cùng một lúc. Điệp viên Lucien Emile Conein đến gặp Tướng Khiêm, vốn là một nhân viên CIA, lúc đó là Tham Mưu Trưởng Liên Quân, và cho biết quyết định của Hoa Kỳ muốn lật đổ Tống Thống Ngô Đình Diệm. Tướng Khiêm đồng ý nhận thực hiện kế hoạch đó, nhưng gợi ý nên đi gặp Tướng Dương Văn Minh và Tướng Trần Văn Đôn. Trong khi đó, một điệp viên khác là Al Spera, cố vấn chính trị Bộ Tổng Tham Mưu, đi Pleiku gặp Tướng Nguyễn Khánh, vốn là một cộng tác viên của CIA, để thảo luận về việc này. Khi Al Spera hỏi Tướng Khánh về Tướng Khiêm, Tướng Khánh đã nắm chặt hai bàn tay của mình lại và nói: "Chúng tôi như thế này". Sau khi Tướng Khiêm và Lucien Conein phác họa xong kế hoạch hành động, ngày 2.10.1963 khi Tướng Đôn lên phi trường đi Nha Trang thì Lucien Conein đến gặp và hẹn sẽ nói chuyện với nhau ở Nha Trang. Tối hôm đó, tại Nha Trang, Lucien Conein thuyết phục Tướng Đôn làm đảo chánh và Tướng Đôn đã đồng ý. Ngày 5.10.1963, Lucien Conein lại đến bàn chuyện này với Tướng Dương Văn Minh. Tướng Minh cũng đồng ý. Tướng Đôn được giao cho phối trí lực lượng, còn Tướng Minh lãnh đạo Hội Đồng Cách Mạng. Tất cả nằm dưới sự chỉ đạo của Lucien Conein và Tướng Khiêm. Chúng tôi chưa tìm được tài liệu nào nói về điệp viên Al Spera, nhưng chúng tôi có khá nhiều tài liệu về điệp viên Lucien Emile Conein. Ông sinh năm 1919 tại Paris, mồ côi cha sớm, lúc mới 5 tuổi được mẹ gởi sang Hoa Kỳ sống với bà dì tại Kansas City thuộc tiểu bang Kansas, nhưng vẫn giữ quốc tịch Pháp. Ông đã từng làm điệp viên cho OSS (tiền thân của CIA) từ năm 1943 với cấp bậc Trung Úy, hoạt động chống Đức Quốc Xã trong Đệ Nhị Thế Chiến ở Âu Châu, rồi qua Bắc Việt khi chiến tranh chấm dứt. Từ 1954 đến 1956 ông đến Việt Nam hoạt động trong toán đặc nhiệm dưới quyền của Đại Tá Edward Lansdale, người đã giúp Tổng Thống Ngô Đình Diệm chống lại nhóm Bảy Viễn và Tướng Nguyễn Văn Hinh. Sau đó, ông trở về Mỹ và tham gia Lực Lượng Đặc Biệt (Special Force), nhưng vẫn còn làm việc cho CIA. Năm 1961 ông đã xin về hưu, nhưng năm 1962 ông được CIA gọi làm việc trở lại và phong cho chức Trung Tá với bí danh là Lulu hay Black Luigi, rồi gởi qua Sài Gòn làm cố vấn cho Bộ Nội Vụ. Nhưng trong thực tế, Lucien Conein có nhiệm vụ móc nối với các tướng Việt Nam mà ông đã có dịp quen biết khi phục vụ dưới quyền của Đại Tá Lansdale, để chuẩn bị tổ chức đảo chánh lật đổ Tổng Thống Ngô Đình Diệm. Đại Sứ Henry Cabot Lodge gọi Lucien Conein là "the indispensable man" (con người rất cần thiết). Còn trong cuốn "Vietnam: A History," sử gia Stanley Karnow nói rằng Lucien Conein là "một người lập dị, một người náo nhiệt, một nhân viên tình báo rất nhạy cảm và hoàn toàn chuyên nghiệp, thường không thể kiểm soát được". Sau này, Everette E. Howard Hunt cũng đã dự tính dùng Lucien Conein trong vụ Watergate. Mỗi lần được phỏng vấn, Lucien Conein thường mở đầu câu chuyện bằng câu: "Bây giờ, đây là sự thật hai mặt, là thứ danh dự của hướng đạo sinh, là sự thật hai mặt" hay "Đừng tin bất cứ điều gì tôi nói; tôi là một tên nói dối chuyên nghiệp". Khi từ giã cõi đời ngày 3.6.1998 tại Virginia, Lucien Conei đã ôm theo khá nhiều bí mật của cuộc đảo chánh ngày 1.11.1963. Từ trước đến nay, chúng ta thường tranh luận về ai đã ra lệnh giết Tổng Thống Ngô Đình Diệm và ông Cố Vấn Ngô Đình Nhu. Nay cuốn băng của Tổng Thống Johnson đã chính thức xác nhận rằng chính quyền Kennedy (Kennedy Administration) đã ra lệnh giết, nên vấn đề này không cần phải tranh luận nữa. Lệnh hành quyết do Washington truyền cho Đại Sứ Lodge ở Sài Gòn. Ông này truyền cho Trần Thiện Khiêm và Dương Văn Minh qua Lucien Conein. Tướng Minh giao cho cận vệ của mình là Đại Úy Nguyễn Văn Nhung thi hành dưới sự chỉ đạo của Tướng Mai Hữu Xuân. Các sĩ quan khác, kể cả Tướng Đôn, đều không biết gì hết. Như đã nói ở trước, ngoài Tổng Thống Ngô Đình Diệm và ông Ngô Đình Nhu, Đại Sứ Henry Cabot Lodge đã quyết định giết thêm ông Cố Vấn Ngô Đình Cẩn và Đại Tá Lê Quang Tung, Tư Lệnh Lực Lượng Đặc Biệt. Tướng Dương Văn Minh đã ra lệnh cho Nguyễn Văn Nhung đưa Đại Tá Lê Quang Tung ra nghĩa trang Bắc Việt Tương Tế phía sau Bộ Tổng Tham Mưu đâm chết và vùi thây ở đó. Muốn giết ông Ngô Đình Cẩn, CIA phải lừa ông vào Tòa Lãnh Sự Mỹ ở Huế, nói rằng sẽ cho đi ngoại quốc, sau đó dùng công điện báo cáo láo về Washington nói rằng trong nhà ông Cẩn có hầm chôn người và súng, dân chúng đang biểu tình, rồi giao ông Ngô Đình Cẩn cho Tướng Khánh giết. Trong cuốn "Việt Nam Nhân Chứng", Tướng Đôn xác nhận trong nhà ông Cẩn không hề có hầm chôn người hay súng. Khoảng 10 giờ ngày 2.11.1963, khi chiếc M113 chở xác Tổng Thống và ông Cố Vấn Ngô Đình Nhu về đến Bộ Tổng Tham Mưu, đậu trên sân cỏ phía tay phải. Mở cửa xe phía sau ra, người ta thấy thi thể Tổng Thống trong bộ complet màu xám sậm và thi thể ông Cố Vấn Ngô Đình Nhu trong bộ complet màu hơi nâu tím. Cả hai bị trói thúc ké tay sau lưng, nằm nghiêng trên sàn xe, máu me dầm dề. Một quân cảnh đứng gác tại đó cho biết, Tướng Dương Văn Minh đã xuống và tự tay vạch quần của Tổng Thống ra xem Tổng Thống có "bộ phận đó" không! Với các dấu vết trên hai thi thể như vậy, nhiều người đã đặt câu hỏi: Hai ông đã bị giết như thế nào? Cách tường thuật của mỗi người mỗi khác. Trong cuốn "Assassin in our Time" (Kẻ sát nhân trong thời đại chúng ta) xuất bản năm 1976, ở trang 142, Sandy Lesberg đã mô tả như sau: Ông Diệm và ông Nhu ngồi với hai tay trói sau lưng. Trong khi ông Diệm giữ im lặng, bất thình lình viên thiếu tá dùng dao găm (bayonet) đâm ông Nhu 15 hay 20 lần. Sau đó, hắn ta rút súng lục bắn vào sau đầu ông Diệm. Thấy ông Nhu còn quằn quại trên sàn, viên thiếu tá ban cho ông ta một cú ân huệ bằng cách cũng bắn vào đầu ông ta. Sandy Lesberg không cho biết ký giả này đã lấy tin này từ ai. Thật ra, lúc đó Nguyễn Văn Nhung còn là Đại Úy, sau này mới được thăng Thiếu Tá. Với cuốn "Les Guerres du Vietnam" (Chiến tranh Việt Nam) xuất bản năm 1985, Tướng Trần Văn Đôn không hề mô tả gì đến cách giết Tổng Thống và ông Cố Vấn Nhu, mà chỉ mô tả về sự tàn ác của sát thủ Nguyễn Văn Nhung mà thôi. Bà Ellen J. Hammer, tác giả của cuốn "A Death in November" (Cái Chết vào Tháng Mười Một), nói rằng khi chiếc xe chở Tổng Thống Ngô Đình Diệm và ông Ngô Đình Nhu dừng lại ở cổng xe lửa đường Hồng Thập Tự, Thiếu Tá Dương Hiếu Nghĩa từ trên miệng cửa xe lia một tràng tiểu liên vào hai ông Diệm và Nhu. Đại Úy Nhung rút súng Colt ra bồi thêm mấy phát vào đầu. Nhưng thấy chưa thỏa lòng, Nhung rút dao găm đâm tới tấp vào ngực hai anh em ông Tổng Thống. Theo bà Thiếu Tá Dương Hiếu Nghĩa phủ nhận lời tường thuật này. Ông nói rằng ông không ngồi trên xe chở Tổng Thống Diệm và ông Nhu lúc đó. Nếu chính ông đã giết Tổng Thống Diệm và ông Nhu, người ta cũng đã giết ông như giết Nguyễn Văn Nhung rồi. Thiếu Tá Dương Hiếu Nghĩa là một đảng viên đảng Đại Việt, thuộc vào loại căm thù nhà Ngô. Sau này y đã được Tướng Nguyễn Khánh cho ngồi ghế phụ thẩm quân nhân của Tòa Án Cách Mạng, xét xử và tuyên án tử hình ông Ngô Đình Cẩn, theo lệnh của Henry Cabot Lodge. Do đó, nhiều người vẫn tin vào lời tường thuật của ký giả Sandy Lesberg. Khi xe M113 chở ông Diệm và ông Nhu chạy được chừng 500 thước, Thiếu Tướng Thu (tức Mai Hữu Xuân) chạy xe ngược chiều trở lại và đưa lên một ngón tay trỏ. Đang còn ú ớ chưa biết giết ai, ông Diệm hay ông Nhu, họ định chạy qua để hỏi lại cho rõ thì dân chúng ùa ra xem rất đông, không chạy qua được. Bỗng Thiếu Tướng Thu đưa hai ngón tay, họ hiểu rằng ông ra lệnh bắn cả hai người. Thiếu Tá Nhung liền rút súng Colt 12 bắn mỗi người 5 phát, và sau đó bắn ông Nhu thêm ba phát vào ngực nữa. Tướng Lê Minh Đảo, lúc đó là Đại Úy tùy viên của Tướng Lê Văn Kim, đã cho biết như sau: Sau khi ông Diệm và ông Nhu bị hạ sát ít lâu, Nguyễn Văn Nhung có kể lại chuyện này cho ông nghe. Nhung nói rằng khi được lệnh giết cả hai ông, Nhung đã bắn ông Nhu trước. Ông Diệm thấy thế đã nhắm mắt lại. Nhung liền bắn ông Diệm 5 phát. Sau đó quay qua bắn ông Nhu thêm 3 phát nữa. Điều này phù hợp với lời khai mà Tướng Nguyễn Chánh Thi đã công bố. Tuy nhiên, sự thật không phải chỉ có thế. Thi thể Tổng Thống Diệm và ông Cố Vấn Nhu đã được đưa vào bệnh xá của Bộ Tổng Tham Mưu để khám nghiệm. Bác sĩ Huỳnh Văn Hưỡn (hiện nay ở New York), giám đốc bệnh xá này lúc đó, đã khám nghiệm và chứng nhận rằng cả Tổng Thống Diệm lẫn ông Nhu đã bị bắn từ sau ót ra trước. Thi thể Tổng Thống có nhiều vết bầm, chứng tỏ đã bị đánh đập trước khi bắn. Thi thể ông Nhu bị đâm nhiều nhát, áo rách nát và đầy máu. Vậy Tổng Thống Diệm và ông Nhu đã bị trói, đánh đập, và đâm lúc nào? Một nhân chứng rất quan trọng hiện đang ở Melbourne, Úc Châu, cho biết ông là người đi trên chiếc M113 chở ông Diệm và ông Nhu từ nhà thờ cha Tam về Bộ Tổng Tham Mưu, nên đã chứng kiến những sự việc xẩy ra. Câu chuyện ông kể lại có vẻ hợp lý hơn cả. Theo nhân chứng này, vào trưa 1.11.1963, chi đoàn thiết giáp của ông được lệnh vào Sài Gòn để tăng cường bảo vệ thủ đô. Khi đến Sài Gòn, chi đoàn này được chia làm hai toán, một toán hợp lực với quân bạn bao vây Dinh Gia Long và một toán làm vòng đai an ninh cho Bộ Tổng Tham Mưu. Nhân chứng ở trong toán đóng tại Bộ Tổng Tham Mưu. Khi đến Chợ Lớn, gần một nhà thờ, xe chạy chậm lại, các binh sĩ trên hai chiếc GMC được lệnh nhảy xuống, một số bố trí xung quanh nhà thờ, số còn lại bố trí ở vòng ngoài. Xe Tướng Xuân chạy một vòng rồi đậu lại bên kia đường. - Thừa lệnh Trung Tướng Chủ Tịch Hội Đồng Quân Nhân Cách Mạng, chúng tôi đến đón cụ và ông Cố Vấn. - Ông Đôn và ông Minh đâu hè? - Thưa cụ, hai ông còn đang bận việc ở Tổng Tham Mưu. 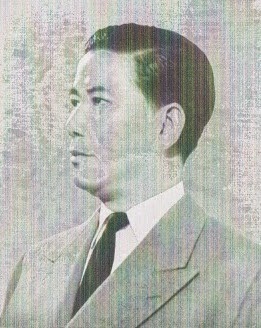 - Thôi được. Thế tôi và ông cố vấn đi cùng xe kia với ông. - Thưa cụ, xin cụ lên xe này cho. - Không thể đón Tổng Thống bằng một chiếc xe như vậy. Để tôi liên lạc với ông Đôn, ông Đính coi xem..
- Tôi không biết. Đây là lệnh của Trung Tướng Chủ Tịch. - Xin mời hai ông lên xe ngay cho đi. - Ở đây không còn Tổng Thống nào cả. Xe đi hết đường Nguyễn Trãi, vào đường Võ Tánh đến trước Tổng Nha Cảnh Sát Quốc Gia thì ngừng lại. Tổng Nha này đã bị chiếm từ ngày hôm trước nên không còn một cảnh sát nào lui tới. Chung quanh, các binh sĩ thuộc Sư Đoàn 5 của Đại Tá Nguyễn Văn Thiệu canh gác rất cẩn mật. Một Đại Tá từ trên xe Jeep nhảy xuống, bảo các binh sĩ trên xe M113 chở ông Diệm và ông Nhu xuống xe hết. Bảy người trên xe nhảy xuống, nhưng tài xế và anh hạ sĩ xạ thủ được ra lệnh ở lại. Xe được lệnh đi vào Tổng Nha Cảnh Sát Quốc Gia. - Ông Diệm và ông Nhu đâu? - Ông Nhu bị tra tấn khủng khiếp rồi bị xiết cổ chết bằng dây điện. Người ta hỏi ông ta nhiều lần: Vàng, bạc, tiền của cất đâu? Ai giữ? Cơ sở kinh tài gồm những cơ sở nào? Ông Nhu trả lời không biết. - Ông Diệm bị đè cổ ra trói thúc ké rồi ném vào hầm xe. Xe qua khỏi trường Petrus Ký rồi quẹo phải vào đường Hồng Thập Tự thì gặp lại 2 xe Jeep và hai xe chở binh sĩ lúc xuất hành buổi sáng. Xe Đại Tá Dương Ngọc Lắm đi đầu, xe thứ hai có Đại Úy Nhung. Khi đến đường Cao Thắng, bên hông bệnh viện Từ Dũ, xe ngừng lại vì bên kia đang có xe của Tướng Xuân chạy ngược trở lại. Dân chúng ra xem rất đông. Tướng Xuân nhìn Đại Úy Nhung và đưa hai ngón tay trái lên hai lần. Sau đó, ông đưa ngón tay trỏ lên khỏi đầu và co vào duỗi ra đến 4 lần (giống như bóp cò). Đại Úy Nhung gật đầu rồi đưa tay lên chào. Những lời tiết lộ của nhân chứng này cho chúng ta thêm những yếu tố mới, nhất là đoạn hai ông bị đưa vào Tổng Nha Cảnh Sát để tra tấn và khảo của. Trò khảo của này là một "sở trường" của Tướng Mai Hữu Xuân. Sự tiết lộ này đã giúp giải thích tại sao hai ông bị trót tay ra phía sau lưng, trên mặt ông Diệm có nhiều vết bầm và trên người ông Nhu có nhiều lát dao đâm. Nguyễn Văn Nhung chỉ leo lên xe M113 trong một thời gian ngắn, không thể gây ra tất cả những thứ đó được. Sau khi thi hành xong lệnh của chủ và lãnh tiền công, "bọn ác ôn côn đồ đáng nguyền rủa" cấu xé nhau về chức quyền và tiền bạc, đưa tới mất chủ quyền quốc gia, rồi đến mất nước.